Naturally, the body slows down when you sleep, so putting food in it isn’t the greatest idea as it won’t get digested properly anyway. Your body is also less active at nights, so when you load yourself with so much food, your body is more likely to store the calories you consume late at night as fat instead of burning them as energy. That right there is a diet disaster if you’re trying to lose weight or get a flat stomach. The solution is quite simple – don’t eat anything when it’s near your bedtime. There’s no magical trick in getting a flat stomach, really. You just need to abide to the principle of proper nutrition, meaning fruits, vegetables, and whole grains most of the time – food items many regard as boring, but not as boring and unpleasant as belly fat, especially when you know you can do something about it but won’t because you prefer fast food. This right here seems to be the dilemma of many. Eating right may be challenging in the beginning, especially if you’re used to eating ‘tasty’ food. But as you get older, your body will naturally long for the healthier options, not entirely, but you’ll probably find the cue yourself and make deliberate changes. The bottom line is that it’s better to start early. Don’t wait for a sickness to force you to change your diet. You can start by eating lean protein, which usually are beans, nuts, and lean meat. Go for whole grains and not just wheat flour. Whole grains keep you satiated for longer, so this’ll help you not to get hungry all the time. Choose low-fat dairy products like milk, yogurt, and cottage cheese. Products like ice cream and hard cheeses are high in fat, so you might want to avoid them. Of course, healthy fats! Not all fats are bad, apparently. Avocados, nuts, olive oil, and fish oil contain monounsaturated fat, while seed oils have polyunsaturated fats. Both fats are good for you. The fats in processed and baked foods, however, are trans fat and they’re the ones you should steer clear of. Finally, reduce your consumption of sodium as it causes the body to keep water, which makes you feel and look overstuffed. As an alternative, you can substitute high-sodium foods with healthier selections. For instance, you can go for sea salt in place of regular table salt since the former is lower in sodium. Some foods that have generous content of sodium are soy sauce, pepperoni, ham, bacon, and sauces, among others. Mostly, the foods you eat at restaurants are also high in sodium, which is why it’s healthier to eat at home because you get to make your own meals and choose healthier ingredients. Many people may also eat right, but too much of it, which isn’t fascinating, either. To help you avoid from eating too much, eating of healthy snacks throughout the day can help you avoid hunger pangs. One trick is to eat using a small plate. With this, your plate looks full of foods but you’re actually eating less than your normal portion size. Half of your plate should also contain veggies. Don’t be in a hurry to finish your food. Proper chewing of your food helps with digestion, making you feel less stuffed. Take small breaks in every bite when eating. This break will give your stomach the opportunity to realize it’s already packed. That way, you don’t overeat. This kind of foods take time to be completely digested, which makes you feel satiated for longer. With this, your body can deliberately take in the nutrients, so that you can prevent any irregular changes in your blood sugar until you have your next meal. Examples of low-glycemic index foods are carrots, cabbage, cauliflower, cucumbers, pears, tomatoes, broccoli, bananas, apples, and berries– yes, they’re basically fruits and veggies, so stick with them. Foods high in sugar have empty calories, not awesome to start with. If you choose to lessen your sugar intake, your insulin levels will reduce as well. Items that are particularly high in sugar are beverages like soft drinks, alcohol, juices, and specialty coffee drinks. Artificial sweeteners aren’t also the best alternative for sugar. While they can help decrease calorie consumption, there is also proof that determines synthetic sweeteners can set off hunger, which then leads to you to put on weight. Experts say that eating protein-rich snacks during this period will improve your metabolism and stabilize your blood sugar. You can eat a protein bar or drink a glass of shake, as well as have a handful of almonds, pumpkin seeds, or low fat cheese. Several people think that eating nothing between breakfast, lunch, and dinner will help them lose weight, but this isn’t the case. This kind of eating routine will actually have a negative effect on your blood sugar levels and trigger you to eat more to suffice your hunger. 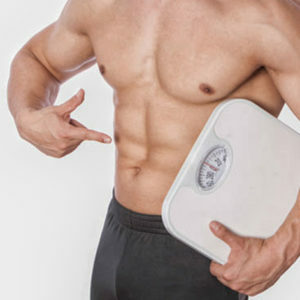 Consequently, it becomes harder for you to lose weight. Eating a small, healthy snack every 3-4 hours, so that you don’t feel hungry is healthier and more efficient when you’re losing weight. Instead of drinking soft drinks, which only contain empty calories causing you to feel distended, drink water instead. High consumption of water can help you eliminate toxins from your body and keep your bowels regular, which are both crucial if you want to have a flat stomach. If water alone is dull for you, go for sassy water instead. Sassy water is just regular water, but with the refreshments of other ingredients such as orange slices, lemon slices, cucumber, fresh spearmint, and fresh basil, among others. You will then leave the water and its ingredients to blend overnight. The next morning, you’ll be drinking a more exciting drink with the added spices that’ll further revive and energize you. Alcohol, especially wine and beers, is loaded with calories. In fact, a 750 ml bottle of wine has approximately 600 calories. Moreover, drinking alcohol frees estrogen into the body and extra estrogen leads the body to preserve weight. Of course, being a bit drunk can also rouse your appetite you’re your resolve to eat right and healthy slipping away, which will make you more likely to devour all those unhealthy stuff that you’ve been avoiding for so long. While it’s good to indulge every now and then for the sake of trivial joy and pleasure, remember you have to practice moderation; or all the diet and health efforts you’ve done will be all for nothing. These diet tips are still helpful and should be continued even you’ve already lost the weight or have already achieved a flat stomach. After all, you still need to maintain your new slimmed down figure.